Well, we have the character more or less complete. 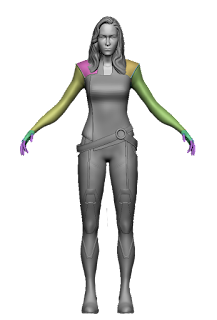 There are 2 steps more: painting and rendering and preparing for production (if the character is going to be produced). I ended this one just with rendering. 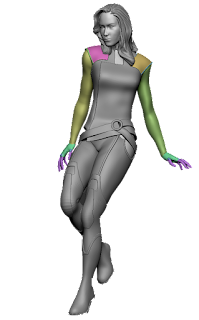 In the last post, I show you my character posed. I told you there are 2 ways to continue, posing and detailing or detailing and posing. I choose the first one so now I have to finish all small details in the hole model. So, now that I know the final pose, I need to repair everything that becomes broken during the previous stage. Now it's easier because the new Zbrush version (4R8) includes a new gizmo that makes the moving and posing steps much easier than in previous versions. 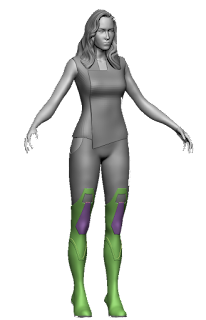 There are two ways to continue the sculpture process once you have the blocking in Zbrush: you can pose the character now and sculpt detail later or you can detail it now and pose it later. How are you going to proceed is always up to you. Usually, easy poses are finished in "T pose" and pose it later. If you want some more complexity then you should pose it now with not so much elements and finish it later. Why do one or another? 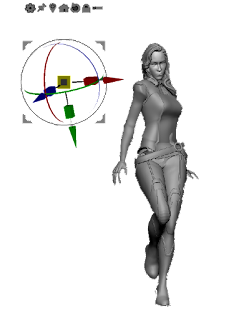 sculpting in "T-pose" is easier as you can work with symmetry so, in fact, you are only sculpting the half model. 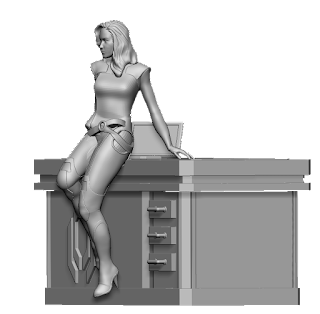 but later you are going to have a very dense model to pose it and it's going to be hard for your computer and maybe hard for you to see if anatomy is working as it's supposed to do. This time I chose to pose it now. I was traditional sculptor before digital, so I'm used to fixing everything in its final pose. Also, it's normal that something becomes broken in this step, so if your details are low poly or easy, it's easier to repair them at this point. Zbrush first blocking of a complete character. When speaking of Zbrush, a "blocking" is like a first volume preview. i.e. you do a set up of the elements in basic forms without detail to know if they work with each other over a mannequin. Nothing is really finished, just an approximation to their volumes. You can even do it just with spheres and boxes. 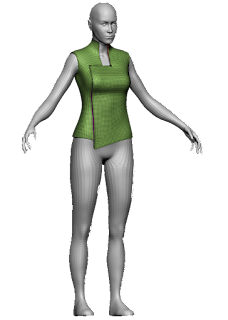 In my case, I went a bit far away and did the basic forms of a uniform over my female mannequin. 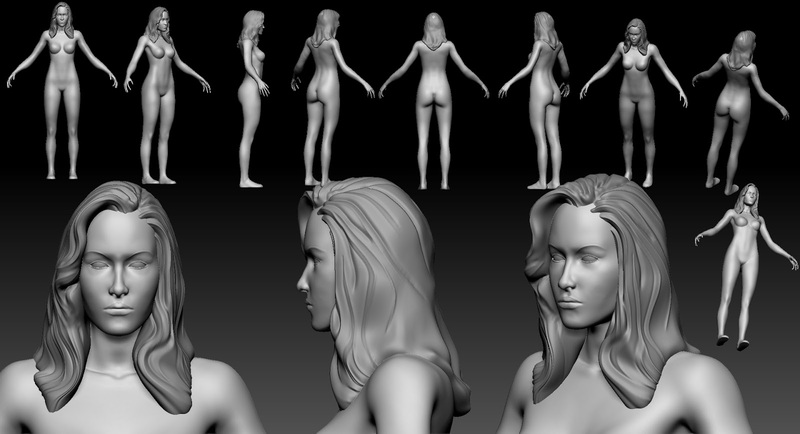 This was one of my Zbrush studies practices. This character was going to be at the end my final practice's character, that should be completely modeled, posed, painted and rendered. Hope you like this starting point. As I told you, I finished my Zbrush Master Studies a couple of weeks ago. I did a lot of practices and many different works, but even If I posted some of them, I did not post the best ones yet. 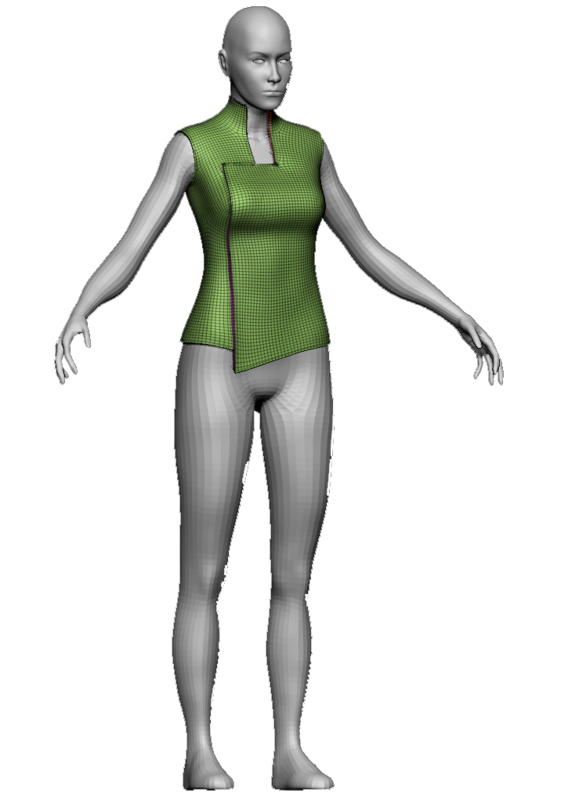 Past week I started with a male anatomical base, this week is the Female mannequin I did to use as a start point to sculpt complete characters. It's also painted with Zbrush polypaint as a requirement from our teacher. I'm also with this one proud of the realism I achieved with this model.